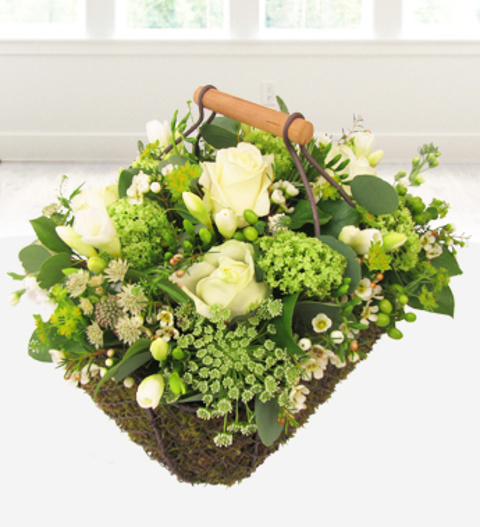 A classic sympathy tribute with a sea grass basket. The arrangement is skilfully arranged by our professional florists with white roses, fresh greens with more complimenting blossoms. This is a memorable tribute that is available for delivery direct to the funeral or funeral directors. For any specific requirements please call our funeral design team on 0844 310 5555.